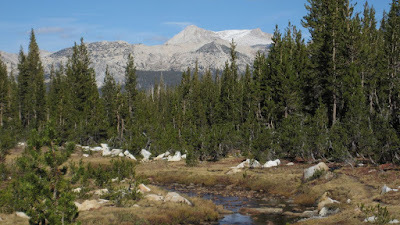 This is one of our favorites times for a backpacking trip to the Sierra Nevada. The kids are now in school in California, so the crowds are much smaller, and the people who are in the mountains often seem to be tackling larger trips. And the mosquitoes are beginning to fade out, even in this legendary year. And the trout are hungry again, after their mid-summer lull. And the days are warm, and the nights are cool. We hope that you are planning to get one more trip in before the cold weather hits in the fall.